This has been a very tough week. Scary and sad, for so many reasons. Terrible events are very upsetting for everyone. But these events, and subsequent media coverage, are particularly difficult for kids to process. Here are some of the best articles I’ve found regarding how to talk with children about tragedies. We’ve had all too frequent need of them lately. Dr. Wendy Sue Swanson and Dr. Claire McCarthy are always excellent resources and their information for families in the wake of tragedies has been just superb. If you are looking for guidance, I highly recommend starting with “Boston Marathon” by Dr. Wendy Sue Swanson and “Talking to Children After Tragedy” and “Moving Forward After the Boston Marathon Bombings: Advice for Parents” by Dr. Claire McCarthy. The American Academy of Pediatrics is also an excellent source of information. Read “Talking to Children About Disasters” on their Healthy Children site. Tips to help children cope with frightening events from the Sesame Workshop at “More Tragic Times, Helping Families Cope”. 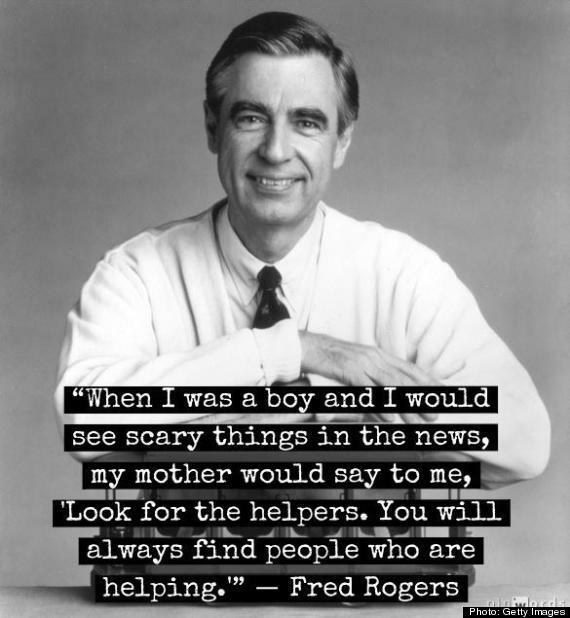 -Don’t feel obligated to tell your very young children about scary events. I haven’t talked with my three year old son about any of these events and I don’t plan to. He is still too young to understand and all too soon will be old enough to learn that terrible things happen. -Keep the TV off (especially with young children around). Watching these events over and over can be traumatizing even for adults and is especially problematic for young children who have difficulty understanding what they see. This entry was posted in Health, Parenting and tagged boston marathon bombing, talking to children about tragedy by My Two Hats. Bookmark the permalink.